Can you outline the current energy & natural resources landscape in your jurisdiction? India is the third largest energy consumer in the world, and its energy requirements are met through both renewable and non-renewable sources. As per the Energy Statistics, 2018 issued by Ministry of Statistics and Programme Implementation, Government of India (GoI), 87% of the energy requirement for the year 2016-17 was met through conventional sources such as coal (43%), crude oil (35%), natural gas (7%) and lignite (2%), and 13% was met through hydro, nuclear and other renewable sources. The conventional fuel requirement is met through imports as well as domestic production where about 30% of coal, 86% of crude oil and 38% of natural gas are imported. Pursuant to India’s underlying commitment under the Paris agreement to reduce carbon emissions and to achieve its ~40% cumulative power installed capacity from non-fossil fuel-based energy resources by 2030, the GoI has taken various initiatives to give impetus to energy production and consumption from renewable sources and natural gas. In the recent years, there have been a number of regulatory and policy changes that have been introduced in India’s energy sector. In the Oil and Gas sector, the GoI has revamped the existing policies to enhance domestic production. Some of these policies include, (i) introduction of a new licensing regime for award of oil and gas blocks- Hydrocarbon Exploration and Licensing Policy (HELP) with features including open acreage licensing policy, revenue sharing model (as against the previous production sharing model) and pricing freedom (as against the previous pricing formula based regime); (ii) the marginal field/ discovered small fields (DSF) policy to bring the existing marginal fields of the National Oil Companies to production; and (iii) policy to promote and incentivise enhanced recovery methods for oil and gas in the existing and new blocks. The first licensing rounds under the HELP and DSF have been successfully completed and the second rounds for these are in play. Further, specifically to promote accessibility to natural gas, the GoI in 2018 has issued 84 authorizations pursuant to the 9th round of bidding for City Gas Distribution (CGD) system. These are almost double the authorizations granted in the previous rounds. Additionally, various projects such as the Pradhan Mantri Urja Ganga Project have been initiated by the GoI to enhance the gas pipeline connectivity in the country. Currently, about 11,000 km of gas pipeline network is under construction. The GoI has taken various initiatives in the power and renewable sector as well. These include better enforcement mechanisms for fulfilling renewable purchase obligations, tariff based competitive bidding, setting up of exclusive solar parks, granting exemptions from payment of transmission charges and losses, commitment to achieve 175 GW of renewable energy by 2022, and revision of the National Tariff Policy to provide for increasing renewable purchase obligations to reach 8% by 2022. In addition to the above, the GoI in 2015, also introduced FAME India Scheme (Faster Adoption and Manufacturing of (Hybrid &) Electric Vehicles in India) to support hybrid/electric vehicles market in India. This seeks to give impetus to use of electric vehicles and is likely to reduce dependence on conventional fuels such as petrol, diesel etc. in the transportation segment. Are there any barriers or restrictions to foreign investment for energy and natural resources in your jurisdiction? Foreign Investment in India is governed by the Foreign Direct Investment (FDI) Policy read with the Foreign Exchange Management (Transfer or Issue of Security by Persons Resident Outside India) Regulations, 2018. Generally, in the energy sector, FDI up to 100% is permitted under the automatic route (i.e., without seeking specific approval of GoI), barring a few exceptions. For instance, FDI is prohibited in atomic energy sector; in the petroleum refining space, where petroleum refining is carried out by the public-sector undertakings (without any disinvestment or dilution of domestic equity in the existing PSUs), FDI up to 49% is permitted under automatic route. Further, in relation to sale of coal, the GoI is actively considering to permit 100% FDI in coal mining activities including associated processing infrastructure. Additionally, there are certain restrictions on investments by citizens/ entities of specified nations, i.e., Bangladesh and Pakistan where investment is permissible pursuant to the GoI approval. How has the domestic landscape impacted, positively or negatively, the ability to conduct cross-border business? In recent years, there have been a number of legislative and policy developments and its impact on cross-border business has been largely positive. In the last one year, India’s rank in the World Bank’s ease of doing business has moved up to 77 from Rank 100, with high leap in the indicator for ‘trading across borders’. As per the World Bank report, the notable factors for this leap are the improvement in time and costs for import-export compliances, new and robust systems for electronic documents filing and robust risk management systems. In order to give significant impetus to the investments being made to India, as mentioned above, 100% FDI is permitted in most activities related to the energy sector. Further, a number of concessions are made through competitive bidding where no special preference is given to Indian parties. For instance, award of blocks for the exploration and production activities in the oil and gas sector, authorisations for city gas distribution systems etc. In the electricity sector, the South Asian Association for Regional Cooperation (SAARC) countries had signed a SAARC Framework Agreement for Energy Cooperation (electricity) in 2014. In December 2016, the GoI issued guidelines for cross-border trade of electricity (CBTE). Under the said guidelines, import of electricity is subject to approval from the designated authority (i.e. Central Electricity Authority (CEA)) on a case to case basis. However, one-time approval from designated authority is required in certain conditions for participating in CBTE, such as import of electricity from generation projects that are owned or funded by the GoI/ Indian Public Sector Units or a private companies with 51% or more Indian entity (entities) ownerships. Can you outline the current merger & acquisition landscape? Consolidation of domestic businesses: In the renewable energy sector, businesses have consolidated due to factors such as tariff pressure and low number of projects being bided out. In the Union Budget for 2017-18, the GoI proposed consolidation of public sector oil companies into an ‘oil major’ to compete with the performance of large international and domestic private companies.Pursuant to the proposal and due to volatility of crude oil prices and low refining margins, large public-sector undertakings in oil and gas sector are undergoing consolidations. Some of the major transactions of the year 2018, include Oil and Natural Gas Corporation Limited’s acquisition of a controlling stake in Hindustan Petroleum Corporation Limited and ReNew Power’s take-over of Ostro Energy. New Insolvency Code: Enforcement of the new Insolvency and Bankruptcy Code, 2016 (IBC) has given a boost to M&A and restructuring activity across different energy sectors, particularly power. Since, power sector is capital intensive, and projects have a long gestation period, over the years, the sector has been plagued with number of stressed assets. The IBC prescribes an institutional, time bound framework for resolution of insolvency cases and inter alia provides for auction sale of businesses facing insolvency. Therefore, as a consequence of the enforcement of IBC, a number of stressed assets have become available for acquisitions and are generating interest amongst players. Policy Initiatives:To boost investment and unlock the sectoral potential, GoI has introduced various sector specific policies. For instance, in the renewables sector, incentives offered by the GoI and the state governments (which include generation-based incentives, capital and interest subsidies, viability gap funding, and concessional financing options) make the companies operating in this sector an attractive target for acquisitions. Are there any barriers to renewable energy and if so how can companies overcome these challenges? Moves by regulators to make regulated tariffs commensurate with competitively bid out tariffs. Pressure on bidders to quote low tariffs and proposed cap on competitive procured tariffs to put more pressure on developers. In light of lower competitively procured tariffs, there is reluctance of distribution companies to agree on earlier negotiated power purchase agreements with higher tariffs, as well as distribution licensees demand for revision of concluded tariffs. The distribution companies have poor financial health and are forced to seek power at the low costs to cover their losses. This makes renewable energy a lesser viable option as it is costlier to other sources such as coal. 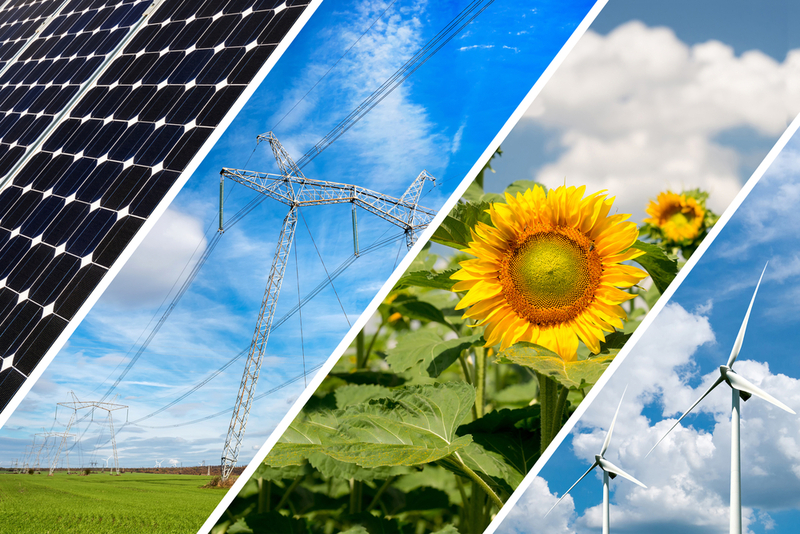 Non-compliance with renewable purchase obligations (and no or low penalties imposed in this regard), and non-sale of renewable energy certificates. Expansion of transmission infrastructure is critical to large-scale renewable energy deployment, as there is an absence of long-term planning to address evacuation needs. In particular, grid integration is a demand side barrier in case of solar energy as states accounting for solar generation represent less demand that leads to localised power surpluses and such power cannot be easily transmitted to external locations. Duty on import of solar modules from China and Malaysia has led to an increase in the cost of development of projects. Delays relating to conversion of land usage or land ceilings. However, the GoI is putting in place a number of policies to boost the sector which include incentives and capital subsidies for the companies undertaking business in the renewable energy sector. Venkatesh Raman Prasad is part of the leadership team of JSA in the Infrastructure, Transportation & Energy space. Venkatesh practices Corporate and Civil laws with a focus on advising/representing clients on Domestic and Cross Border Investments, Mergers & Acquisitions, Entry strategies, Transaction structuring, Joint Venture, Technology transfer and Private Equity funding especially in the Transportation(including Railways, MRTS, Dedicated Freight Corridors), Energy (including RE, Oil & Gas value chain LNG), Infrastructure (including Construction and Engineering), Automotive (including HEV and EV) & Make in India related initiatives. Venkatesh’s role in these transactions has included negotiations, drafting, complex structuring, rendering strategic advice and interacting with foreign law firms, investment banks and financial advisors.